Finally! 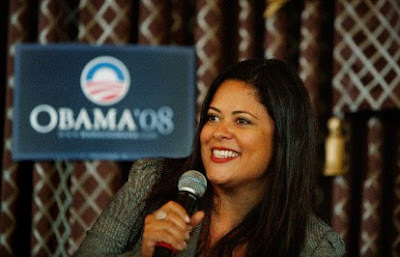 More-o of Maya Soetoro-Ng! 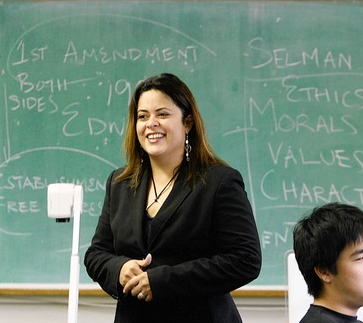 Do you think Dr. Maya Soetoro-Ng reads DISGRASIAN? Did she happen upon your quiet pleas that she channel her beautiful prose into a tome? ‘Ladder to the Moon’, Maya Soetoro-Ng’s first book, is inspired by Maya and Barack’s mother as well as by Maya’s four-year-old daughter. What lessons, the author wonders, might her daughter have learned from her grandmother had the two ever met? In ‘Ladder to the Moon,’ Maya Soetoro-Ng pays homage to her mother’s tradition of storytelling — and celebrates her mother’s enduring legacy of service — with an unforgettable story of love and compassion being passed along generations. Brimming with the beauty and magic of the night, Ladder to the Moon is a modern-day fable that will charm readers of any generation with its lush prose and timeless message about discovering one’s own strength. Illustrator and publication date are to be determined. While–as the product of a fairly stoic, left-brained, Hardass Asian Family– I don’t quite understand how one can be inspired by their relations towards such gentle images of ancestry and beauty, I certainly do appreciate it. Freakin’ fly me to the Moon, Jen! Can we get on some pre-order action?? Where is this book!!?!? Um, wow. After reading that, I’m feeling a briny mixture of HolyCrapILoveYourProseStylings and CanIBeYourNumberOneFanOrYourBestFriendWhateverWorksForYou and HopefullyMyLoveForYouMayaSoetoroNgIsn’tTooCreepy.